net weight: 3.53 ounces = 100 ml. This article has been seen 8192 times. INGREDIENTS: 100% natural Cold-pressed Extra Virgin Siberian Cedar Nut Oil, 100% natural Sea Buckthorn Oil. 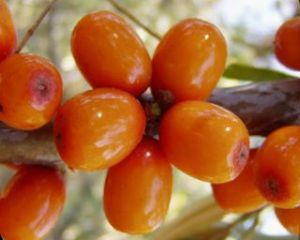 Another great gift from the Siberian Taiga is Siberian cedar nut oil. Wild harvested cedar nuts, cold pressed, first press only, this is all original, 100% natural Siberian cedar nut oil. Ringing Cedars of Russia Company takes all necessary steps to prepare same cedar nut oil which Anastasia made for Vladimir. 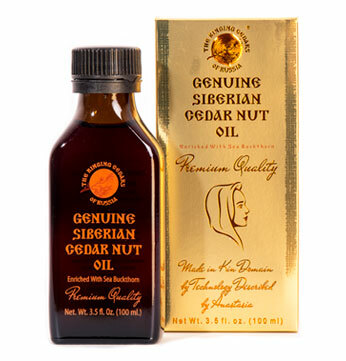 Here is our first Siberian Cedar Nut Oil under Ringing Cedars of Russia brand made in Kin Domain's Space of Love. 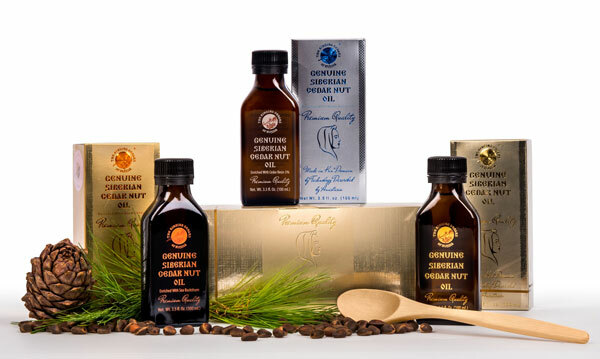 A variety of high-quality cedar products, including cedar nuts, cedar flour and cedar nut oil. 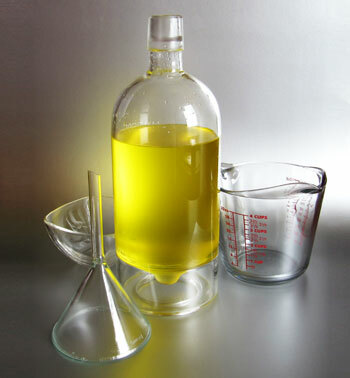 Cedar nut oil marketed under our brand name is obtained by the cold-pressure method, using manual wooden oil-presses. Cedar nut oil is then stored in special containers and packed in a Kin Domain "Sunny Meadow" located near Tomsk city using unique technology to avoid any contact with metal. The whole process is strictly supervised to ensure it complies with all sanitary requirements. Final products are placed in special packaging to prevent daylight penetration, and stored at a temperature of 0°C to +5°C to better preserve the product's natural components. 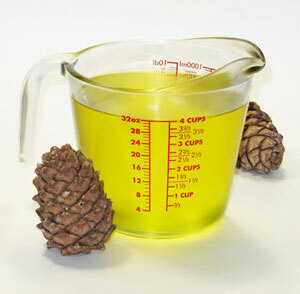 The resulting product is a bright gold-coloured liquid with the pleasant smell of cedar nuts. It is a 100% natural product with strong healing powers. 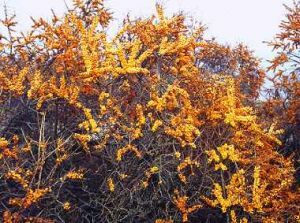 Special steps have been taken to protect "THE RINGING CEDARS OF RUSSIA" cedar nut oil against counterfeit. Each box has a holographic label with a unique number attached to the side. 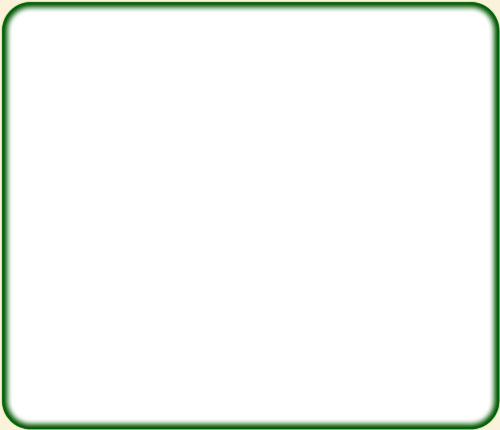 The unique number can be veryfied at our "anti-counterfeit" page or through the e-mail address anti-counterfeit@energyoflife.ca. 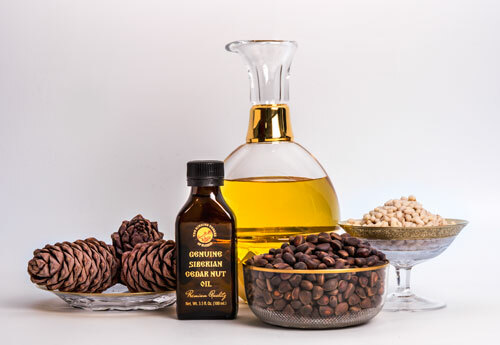 Ringing Cedars of Russia Company is happy to introduce you the family who makes the Siberian cedar nut oil in their own Space of Love in Kin's Domain. 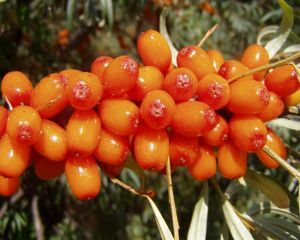 INCREDIBLE BENEFITS OF CEDAR NUT OIL PLUS THE EFFECT OF SEABUCKTHORN OIL!